KHP Products Ltd. is an I.S. 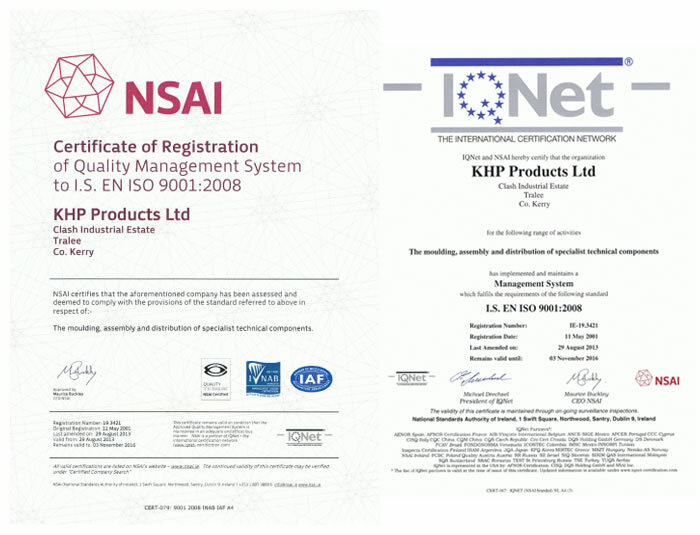 EN ISO 9001: 2008 Certified Company and this ensures that only the highest Quality Products are Manufactured and Supplied at all times. The Certificate is awarded by the NSAI ( National Standards Authority of Ireland). Safety and Quality are essential components of all products and KHP Products were awarded the UL follow up recognition certificate.